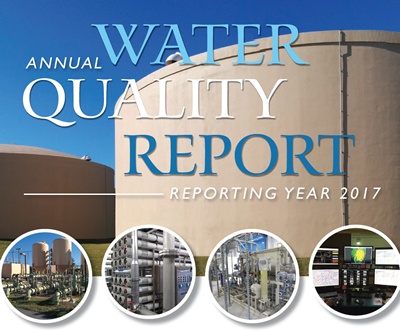 Each year, the city of Clearwater’s Public Utilities department presents residents with important information about the city’s drinking water quality in an annual consumer confidence report. The most recent Water Quality Report is available in English and Spanish. As part of the U.S. Environmental Protection Agency’s “Safe Drinking Water Act Amendments,” all water systems throughout the country must publish this annual report. Printed copies are available upon request, and the report is also available in Spanish. If you’d like one mailed to you, call Clearwater Public Utilities at (727) 562-4960.